The 1st International Conference of the INDOEDUC4ALL project was celebrated on 14th December 2017. It was organised by Universitas Islam Negeri Sunan Kalijaga Jogyakarta (UIN-SUKA) in the convention hall of this institution. This event served the purpose of officially launching the INDOEDUC4ALL project in Indonesia and was graced by the presence of the Rector of UIN-SUKA as well as the Rector of the Universitas Lambung Mangkurat, in the role of representative of the Ministry of Education. Apart form all the members of the INDOEDUC4ALL project, the international seminar was also attended by Indonesian Disability People Organizations, delegates from other Universities in Yogyakarta, academic and faculty members from UIN SUKA, representatives from Special and Inclusive Schools and also students with and without disabilities from UIN SUKA and other universities. Given the expectations raised and in front of audience of more than 200 attendants, the event received press coverage. 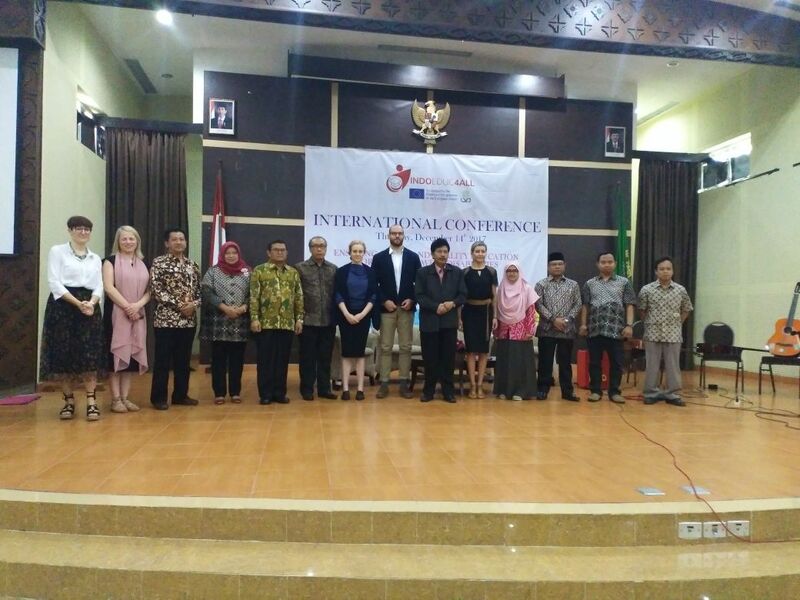 The international conference positioned all the INDOEDUC4ALL partners from Indonesia at the forefront of the inclusive education in Indonesia. 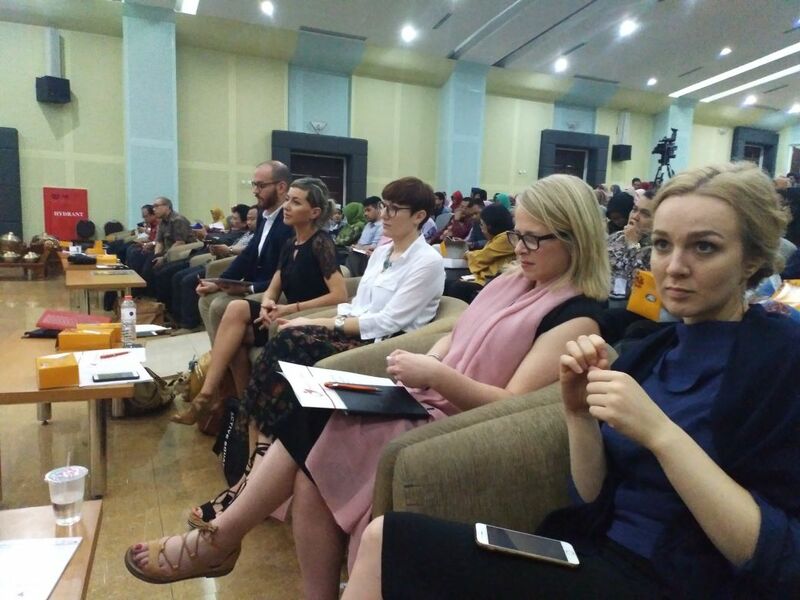 Therefore, with this launching conference, they postulate their Disability Support Centers as national models for the rest of Indonesian Universities, joining the nation-wide effort to fully include students with disabilities on higher education. After the ceremony, representatives from UIN SUKA, University of Alicante and Glasgow Caledonian University proceeded to present their cultural experiences in terms of inclusive education and disability. Afterwards, an intense debate followed the speeches on how to promote Good Practices on disability among their students, lecturers and staff members. Taking advantage of the gathering, the students with disabilities collective from UIN SUKA delighted the audience with a flawless musical performance and some of their integrants were awarded with The Inclusive Education Award in commemoration of the International Disability Day.